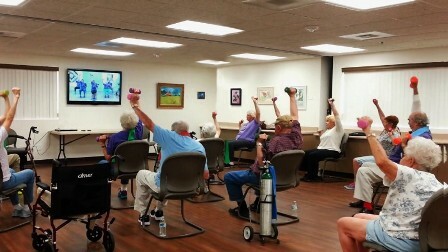 A Public Performance License (PPL) is a license that permits a facility (library, senior center, senior housing or retirement community) to play a Geri-Fit exercise DVD and be copyright / trademark compliant. It is different than a movie license which doesn't cover an individual company's copyright, trademark or other intellectual property (IP). Once a facility purchases a Geri-Fit public performance license, they are added to an approved list of licensed sites that are legally permitted to display the Geri-Fit DVD products in a public area. How it works: The Public Performance License is a one-time fee of $150 and then you can purchase whichever DVD titles you want at their retail price (see available titles and prices below). The license is for one facility only and the DVD cannot be copied, shared, reused or taken elsewhere. If you have multiple facilities, each facility must purchase its own PPL. There is no annual renewal fee or other costs. 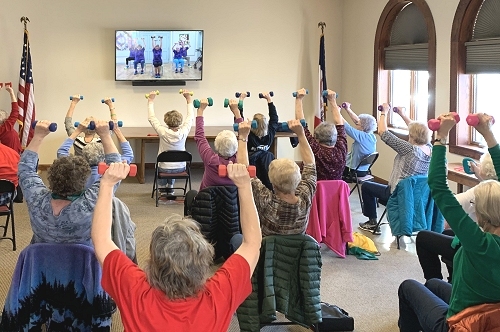 This is a very cost-effective way for you to offer virtual fitness to your patrons, residents, members or community and is especially suitable for rural areas. Here's a brief video of how your group will look exercising to a Geri-Fit DVD. Although not required, it is suggested that you have a staff member or volunteer be present at the time the video is played so that they can monitor the group and occasionally provide recommendations for improvement or exercise correction when needed. We offer an optional Coach Trainer online training program that will teach your volunteer or staff member the proper coaching techniques that are needed to supervise your group of participants. This training does not permit the coach to teach a live class. However, it will provide them with the basic knowledge and guidance on what to spot and how to correct form while your group exercises to the DVD. This two hour online course is only available to sites that have purchased a PPL and is priced at $50 per trainer (limit 2 Coach Trainers per facility). Our DVD workout videos accommodate all fitness levels and modifications of the exercises will be demonstrated so that everyone will be able to participate. Self-pacing is encouraged at all times. 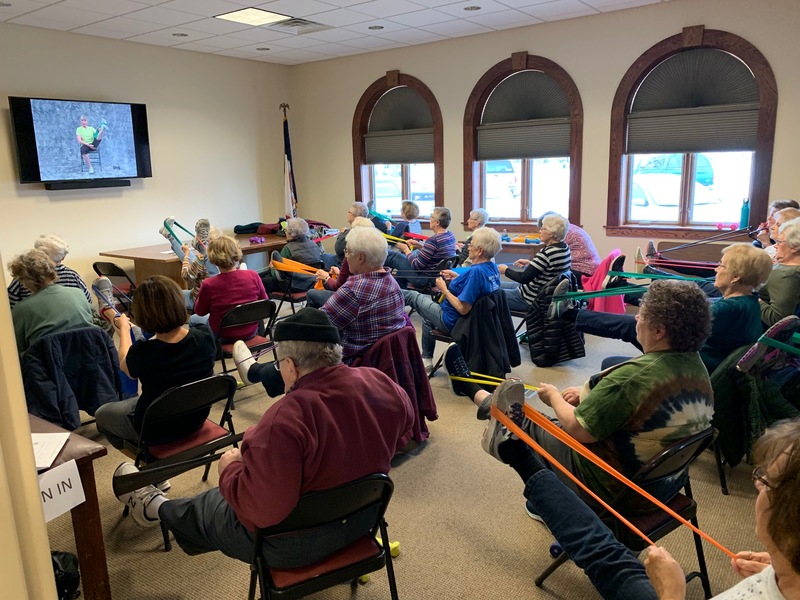 Participants bring their own weights and stretch band to class (usually in a tote bag that they keep in their car), so your facility does not have to purchase any equipment or store any equipment. If stretch bands are needed, we sell them individually or in sets of 10 or 20 at wholesale pricing. The only other requirement is sturdy chairs like banquet style or folding chairs, but without any arms. We recommend that the class size be kept at under 25 participants. To apply for a PPL, click on this link and fill out the form. Indicate which DVD title(s) you want to purchase in the Questions and Comments section of the application. This application does not obligate you to purchase anything but will give us the required information in order to process your request. Once we receive your PPL Application, a member from our team will be in touch with you to arrange for payment. Most orders are done by phone using a credit card, however, we also accept checks. You also have the option to purchase everything directly online! Create an account by registering online, then start by purchasing the Public Performance License. Once that is in your shopping cart, click the Continue Shopping link and then choose your titles and/or products. It's super easy! All credit card transactions are processed securely through our website with an advanced triple layer SSL protection. We also offer a Starter Package which includes the Public Performance License along with three of our top-selling DVDs! If you need help in deciding which DVDs to offer or have additional questions, feel free to call us at 1-888-GERI-FIT (1-888-437-4348) or use this Contact Us form which will send us a quick note. We'll get back to you right away!